Xperia is probably one of the most renowned and widely appreciated series by Sony. If you also own a Xperia Z5, then you must already be familiar with all the high-end features that are offered by the smartphone. Nevertheless, if you truly want to customize your smartphone experience, then you should root Xperia Z5. Rooting comes with plenty of benefits, which makes it a risk work taking. In this highly informative article, we will let you know about all the requirements to perform Xperia Z5 root. Additionally, we will provide a one-click solution to do Sony Z5 root. Let’s get it started! Before you commence to root Xperia Z5, it is important to be well-aware of all the prerequisites associated with it. After all, rooting is a sensitive process and it might have some serious consequences on your device as well. In order to avoid any unforeseen situation and get desirable results, make sure that you prepare your device by following these suggestions. 1. It is highly recommended to take an extensive backup of your data before performing Xperia Z5 root. If the rooting process gets halted in between, then you might end up losing your data. 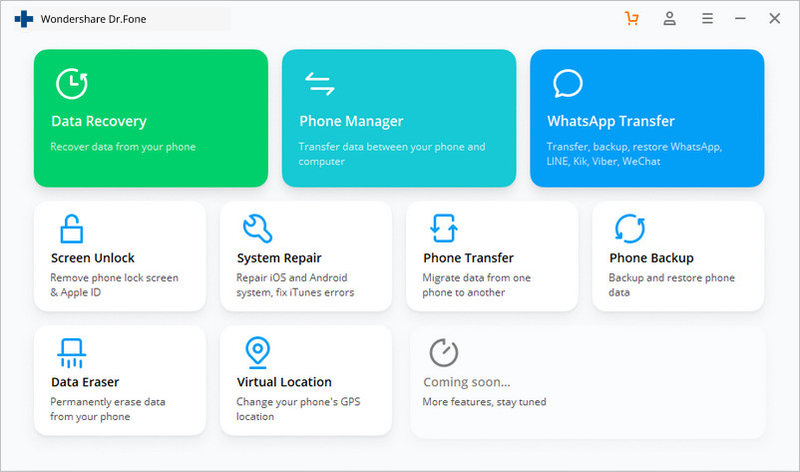 You can always take the assistance of dr.fone - Backup & Resotre (Android)in order to take a comprehensive backup of your device. 2. During the entire process of rooting, your phone would be restarted and go through plenty of operations. Henceforth, it is recommended to charge it at least 60% before you start the process. 3. There are times when your phone’s inbuilt firewall or anti-virus software can hinder the rooting process. To avoid such an unwanted scenario, make sure that you have disabled such an added security measure beforehand. 4. Additionally, download all the necessary drivers related to your phone to avoid any unwanted scenario. 5. Make sure that you are using only a reliable rooting software. The application that you are using should have a provision to un-root your device in the future as well. 6. Lastly, you need to enable the USB Debugging option on your phone in order to perform Sony Z5 root. To do so, visit Settings > About Phone and tap the “Build Number” seven consecutive times. This will enable the Developer Options on your phone. Simply visit it and turn on the feature of USB Debugging. Now when you are familiar with all the requirements, let’s proceed and learn how to perform Xperia Z5 root with one click. Part 2: How to root Xperia Z5 with Android Root? dr.fone - Root (Free) is one of the easiest and most reliable ways to perform Sony Z5 root. With just one click, you can use it to root thousands of Android devices out there. It is a part of the dr.fone and presently runs on Windows. It has a high success rate and provides a quick and hassle-free way to root almost every Xperia device. 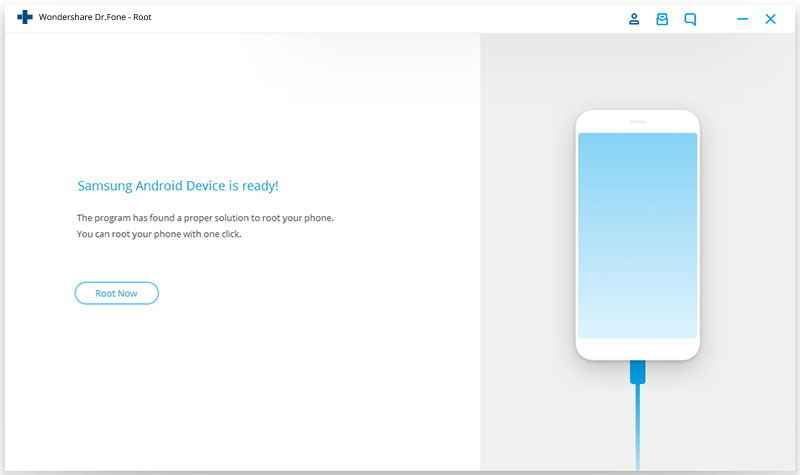 In order to root Xperia Z5 using Android Root, simply follow these steps. 1. 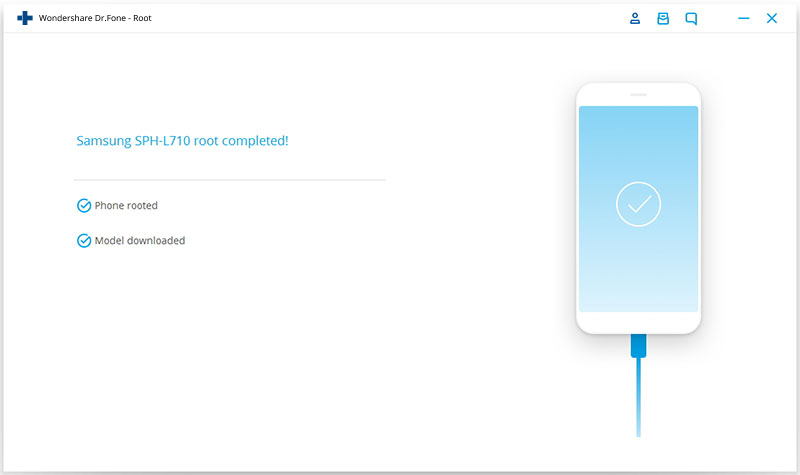 To start with, download dr.fone - Root (Free). After installing it on our device, launch the application. You will get various options on the dr.fones welcome screen. Simply select “Root” in order to proceed. 2. Connect your device to your system using a USB cable. If you get a pop-up message on your phone regarding the USB debugging permission, then simply agree to it. 3. 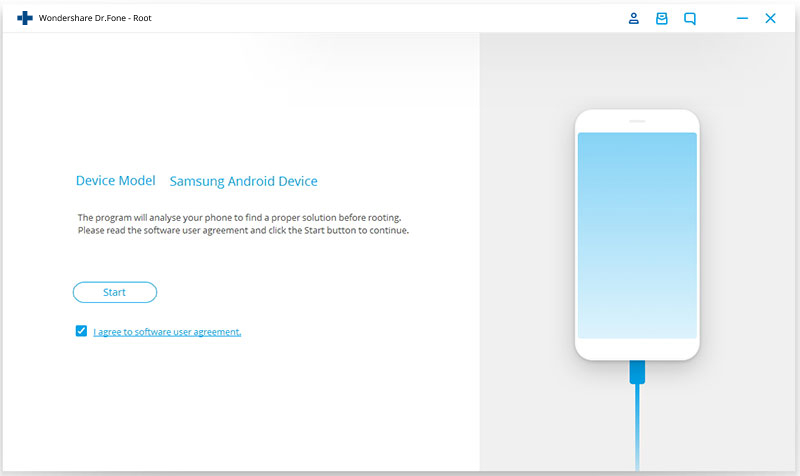 The application will detect your phone automatically and prepare it for the rooting process. It might take a while as it will perform all the necessary measures to root your device. You can get to know about its progress from an on-screen indicator. 4. As soon as your device would be ready, the interface will let you know. Just click on the “Root now” button whenever you wish to proceed. 5. Android root will start rooting your device. Wait for a few minutes as the application will root Xperia Z5. Your phone would get restarted in between and might get a pop-up message regarding the permission to root it as well. 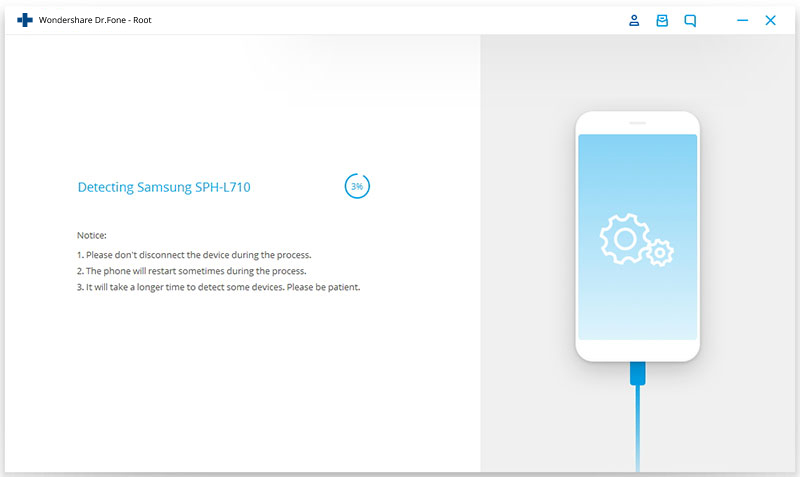 Simply confirm it and make sure that your device stays connected to the system. As soon as your device would be successfully rooted, you will get the following message. Great! If you get the above screen, it means the process of Xperia Z5 root has been successfully completed. You can simply disconnect your device safely and enjoy all the added benefits of rooting. You might already know that rooting can void the inbuilt warranty on your device. Nevertheless, there are plenty of benefits to root Xperia Z5, which makes it a risk worth taking. Here are only a handful of benefits of rooting your Sony device. 1. You would be able to have a complete control on your device after rooting it. This would allow you to customize your device entirely. You would be able to change Android’s skin and experiment with its overall look and feel. 2. After rooting, you can install custom ROM on your device, which will further allow you to customize your smartphone experience. 3. You no longer have to install apps only from Play Store. After rooting, you can easily install apps from those previously listed “incompatible sources” as well. 4. Additionally, you would be able to remove those pre-installed apps from your device that doesn’t add any value to your smartphone. 5. You can have a trouble-free experience using every app on your phone. Get rid of all those in-app ads without any trouble after rooting. 6. Since you would be able to have a full control on your device, you can easily boost its speed and save its battery life as well. 7. By taking the assistance of IFTTT (If This Then That), you can also link your device with the outside world and can automate everything around you. Now when you know about all the added benefits of rooting and how you can perform Sony Z5 root with a single click, nothing can really stop you anymore. Go ahead and follow the above-listed steps to root Xperia Z5 with a single click. This is a guide sharing you the best way to root the Samsung Galaxy Ace S5830 phone on your computer fast and easily. You can root your Samsung Galaxy Ace in a few simple clicks. If you want to root your LG G3 D850, this article is for you. Please go through every step to root LG G3 D850. This article provides you two solutions to root your Xperia Z easily.